Its not just great that kids have fun when they play, its also very important for their early development. Play helps children as they grow, physically, mentally and socially. 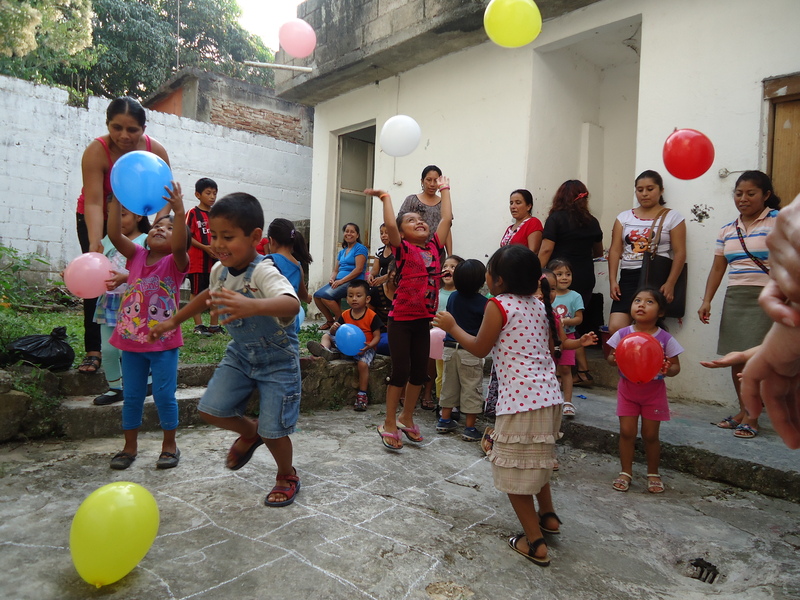 Children play with balloons at ChildFund local partner Sakubel in Chiapas, Mexico. Regardless of how many or how few toys and games they own, children everywhere love to play. We’ve seen that truth in each community, in each country where ChildFund has worked, and the evidence is in the lobby of our international headquarters. Instead of typical office décor, we have a collection of soccer balls, toy cars and dolls made from used plastic bags and bottles, twine, bits of rubber and metal and other materials — all found by children and re purposed into playthings using their innate ingenuity and imagination. And it’s no wonder that they’ve done so: Children’s drive to play is so strong because it’s an important part of their physical, mental and social development. Games teach motor coordination, problem solving and interaction. And sometimes, they teach discipline and the joy of hard work. 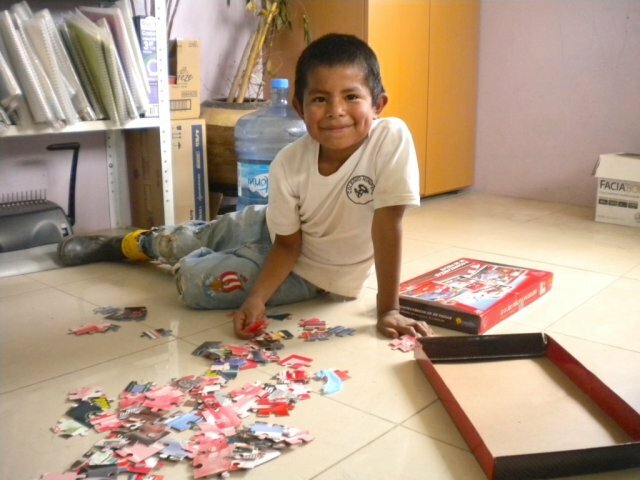 Meet Javier, an 8-year-old boy from Mexico who loves putting together the same 100-piece puzzle over and over. He doesn’t seem to get bored, so we asked him why he likes it.